Bec and I got in the car Thursday morning and proceeded to drive seven hours or so to the town in eastern Nebraska in which we were born, spent our formative years, and learned right from wrong. We spent much of yesterday driving around Columbus and the surrounding outskirts reminiscing about our childhood and noting how where we grew up and with whom we grew up formed who we are. 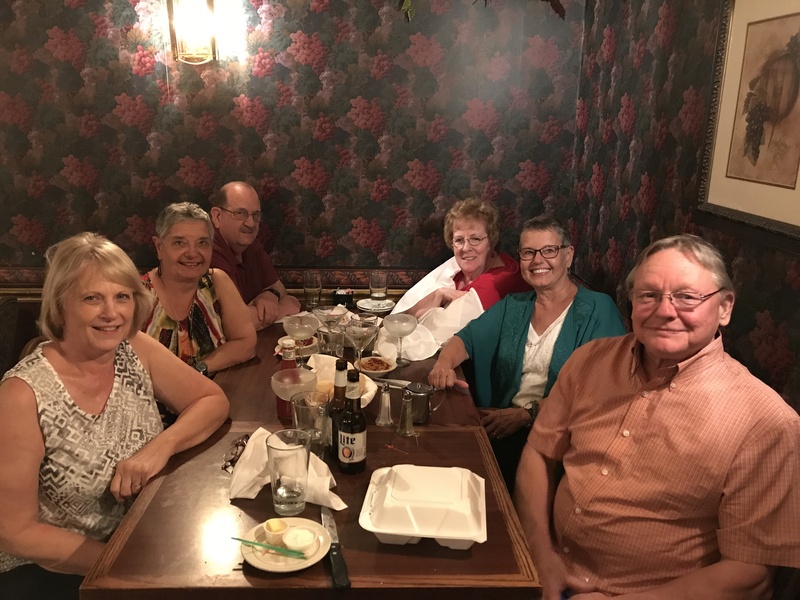 We ate two nights in a row at Husker House, where we celebrated numerous birthdays and other notable events. Both meals were outstanding. Friday night was special because we dined with some of our cousins from our mom’s side. Good folks all….. Though it was a quick trip, it was worth the drive, and it made me smile. That picture makes me smile big!